Tiger Enterprises’ stamp of excellence symbolizes our commitment to providing the best resources, equipment and applications to produce the highest quality prototypes and products for our clients. Through an integrated review of design, materials, and production, Tiger systematically ensures the highest level of product reliability and performance. Whether we are developing customized applications, updating existing designs, or manufacturing directly from client specifications, every Tiger product is reviewed by experienced craftsmen prior to production. Tiger regularly reviews the quality and performance of all of its raw materials. By carefully tracking material selection, receiving, and production, Tiger can ensure that customer requirements are met at every stage of the operation. Quality control during production involves a combination of visual inspections and testing at various stages in the process. 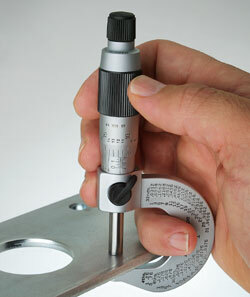 Calibrated fixtures and gauges are used to monitor product consistency and integrity. Every product produced by Tiger benefits from more than a quarter of a century of metal fabrication experience. From concept to manufacturing, Tiger provides an imprint of quality.